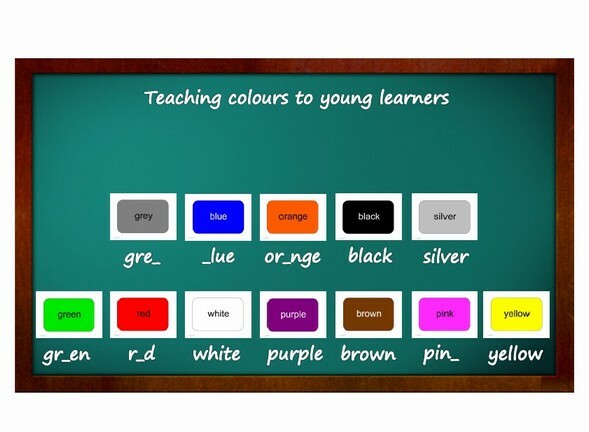 Introduce colour vocabulary to students first. 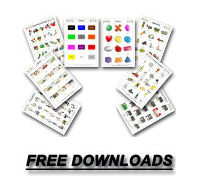 Let students find the matching writing according to the colour flashcard what you hand out. You also can write the vocabulary on the board and the students have to stick the correct flashcards above the writing. An additional exercise is to erase letters from the writing where students have to rewrite the letters into the free space onto the board. Note: Do not write vocabulary to high on the board, use lower board area, otherwise students cannot reach the writing to fill in letters or stick the cards back onto the whiteboard!